Have you ever wanted someone to apologize to you, but you don’t know how to extract the words “I’m sorry” out of their mouth? I understand your desire. I hear it often in my work as an executive coach. For example, Nancy was furious at her co-worker, Don. During one of our coaching sessions, she asked for my help in dealing with her strong emotions and setting things straight. If you’ve ever gotten angry at someone for something they did that upset you — you may have felt that the other person should come to you and apologize. But then you waited. And waited. No apology. For hours, days, weeks, or longer. So how do you get someone to apologize? You change your desired outcome. The other person may not feel compelled to apologize. He or she may see the situation very differently than you, and see no need to apologize. 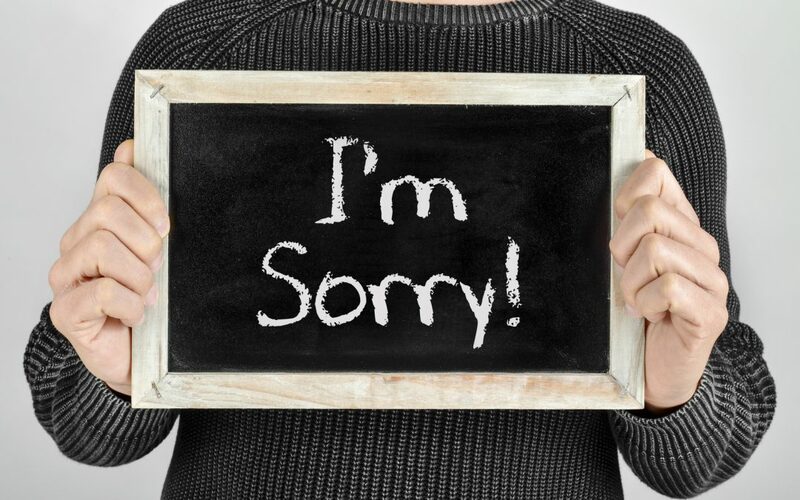 For some people, apologizing means admitting guilt, so they won’t utter words like “I’m sorry.” Still other people feel too much shame for what’s transpired, and cannot readily confront their emotions, let alone address yours. Listen, as best you can, without interruption. Then, you can give your side of the story. And then, as neutrally as possible, show where you have differences in how you see the situation. You may not come to resolution, or even an apology. But at least you have a chance of seeing how another person views the same event. Which might be very differently. And that can give you greater empathy or insight into the person. The words “I’m sorry” may or may not be included. But at least you get to share your perspective of the event. It’s best to do that in a fact-based manner. So avoid adding in your interpretations, and if you do feel the need to share them, add a preface like, “to my ear,” or “as I saw it,” to acknowledge that this is how you’re making meaning of the situation. You can also bring up the situation and make a request for how you’d like to address similar situations in the future. In this case, you tell the other person that you have a request. You describe the situation as neutrally as possible, then you make the request, and you ask if the person would be willing to accept the request. If not, then you can have a discussion about what that person would be wiling to do. If there’s real conflict, and you two clash, listen for the areas where the person sees differently than you. You may want to have a series of conversations, rather than one, to work through your differences. So, when you feel wronged or slighted in the future, remember: Instead of asking for an apology, you can ask for acknowledgement of the situation, or discuss how you’ll handle similar situations in the future. Or both! Thanks for reading! Did you enjoy this article? Please click on one of the social media icons below and share it.